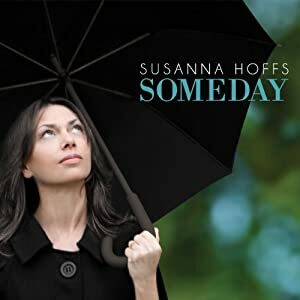 Susanna Hoffs may be best known as founding member of the all-female group The Bangles and wife of film director Jay Roach (famous for the Austin Powers films), but her latest self-released effort marks a long overdue return to her own pop music career with triumphant results. Someday is Hoffs’ third solo set and her first since 1996’s much ignored eponymous release. The honey-voiced songbird delivers a solid album with a feel-good vibe, which sounds authentic in its union of 1960s simplicity and 2012 sophistication (à la Dusty Springfield meets Adele). The majority of Someday was co-written by Hoffs along with Nashville indie-artist Andrew Brassell, and helmed by veteran producer Mitchell Froom (Elvis Costello, Bonnie Raitt). The 10-track song cycle is a sentimental, but compelling musical billet-doux to sixties-style melodies and emotive lyrics. The picturesque prose and folk-like sound of the infectious “November Sun” and the playful bounce of “One Day” instantly reel you away and find you yearning for simpler times. Someday is the perfect soundtrack for a summertime rainy day that doesn’t overreach or become self-indulgent, but fulfills its goal of a delightfully enjoyable pop record. Here, Hoffs at long last mends her musical fences by making up for her promising but disjointed previous solo efforts (1991’s uneven When You’re A Boy and the forgettable banality of 1996’s Susanna Hoffs). This is easily and undeniably Hoffs’ most definitive musical statement to date.